People with anxiety disorders who self medicate with alcohol are between 250% and 500% more likely to become substance abusers than people with anxiety disorders who follow the directives of their prescriptions. Anxiety sufferers can often get short term relief from their symptoms by self medicating with alcohol but this kind of self medication can reduce the effectiveness of prescribed medications and can lead to substance abuse problems. Scientists have long known of the association between anxiety and substance abuse – but it hasn’t been clear whether people with anxiety are already more likely to have substance abuse problems and to self medicate or whether people are self medicating and then developing substance abuse problems because of their self medication. 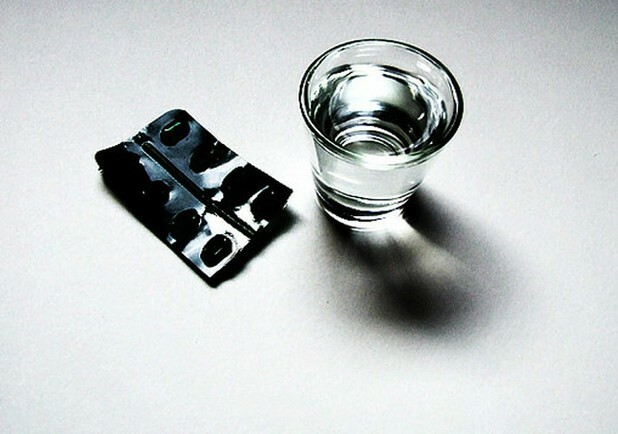 13% of those who self medicated with alcohol developed a substance abuse disorder by the end of the three year period. 5% of those who did not self medicate with alcohol developed a substance use disorder by the end of the three year study period. The results of the study show that people with anxiety problems but no substance abuse are using self medication with alcohol and that these people are at a substantially increased risk of developing a substance abuse disorder. Commenting on the results of the study, lead researcher James M. Bolton, M.D. explained, "People probably believe that self-medication works. What people do not realize is that this quick-fix method actually makes things worse in the long term." The full research results are published in the Archives of General Psychiatry. Coping cards filled with coping statements can help you trade negative self talk with healthier, more positive replacements. Writing coping cards is an easy, no-cost intervention that might just help you. Read on to learn how to get started. How about a cup of tea? L-theanine may not replace your need for therapy or medication, but if you struggle with stress or anxiety, or even if you don’t, the soothing and cognition enhancing effects of this tea amino acid may be just what you need.